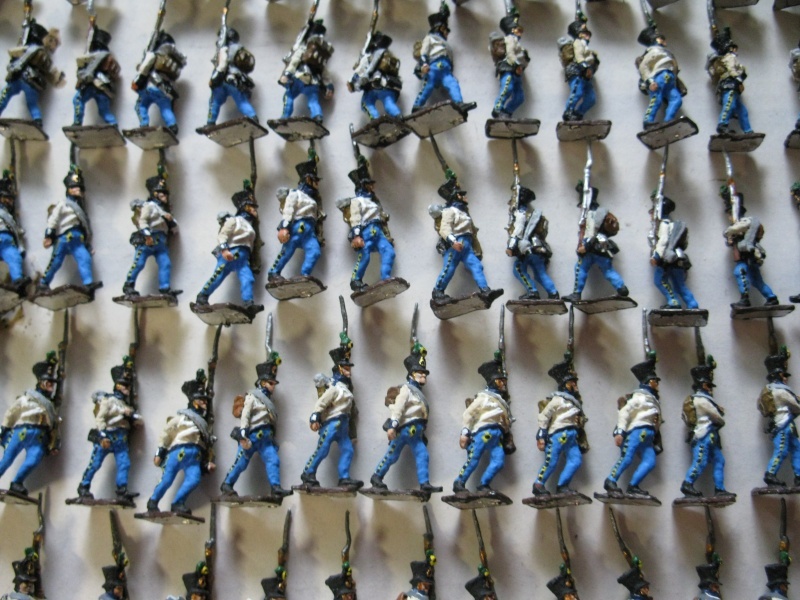 To complete my Schwarzenberg's army corps, I need a total of 144 Napoleonic Austrians in Hungarian infantry uniform, with shako. The set in plastic currently available is Hat's 8027. Apart for the fact that it takes a lot of time for modifications, (trimming gaiters) and the lack of Hungarian knots on the trousers, in my opinion the poses supplied, compared to the current standard, are not satisfying. Have you any suggestion of other manufacturers producing such a unit (even in white metal) for an affordable price? These must be Art-Miniaturen from Germany, not the most expensive white metal producer. Also New Line Design from England will sell them but their anatomy won't fit the plastics you already finished. Art Miniaturen produce a vast range of Napoleonic metal figures, they also have austro-hungarian infantry.